Here is a map demonstrates territory of Belarus, of Russia. topographic map of Mstsislaw this. interesting map of Zubovshchina for you. 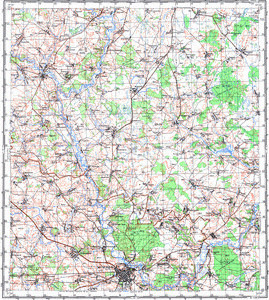 interesting map of Zhukovo download for free. map of Zhukovo with gps calibration here. map of Zheleznyaki displayed. interesting map of Zhanvil' 1 cm to 1 km download for free. actual map of Zavidovka и OziExplorer calibration for Garmin. interesting map of Zarech'ye displayed. detailed map of Zal'kovo 1 cm to 1 km free download. detailed map of Yevlashi displayed. free map of Voynino with gps calibration here. map of Verovna free download. detailed map of Vepry calibrated download for free. interesting map of Tukhlya with gps calibration here. detailed map of Tochna и OziExplorer calibration here. free map of Tatarsk this. actual map of Svirdovka и OziExplorer calibration for gps.